all of the bells and whistles and enjoy the reduced price point. our higher end water ionizers. 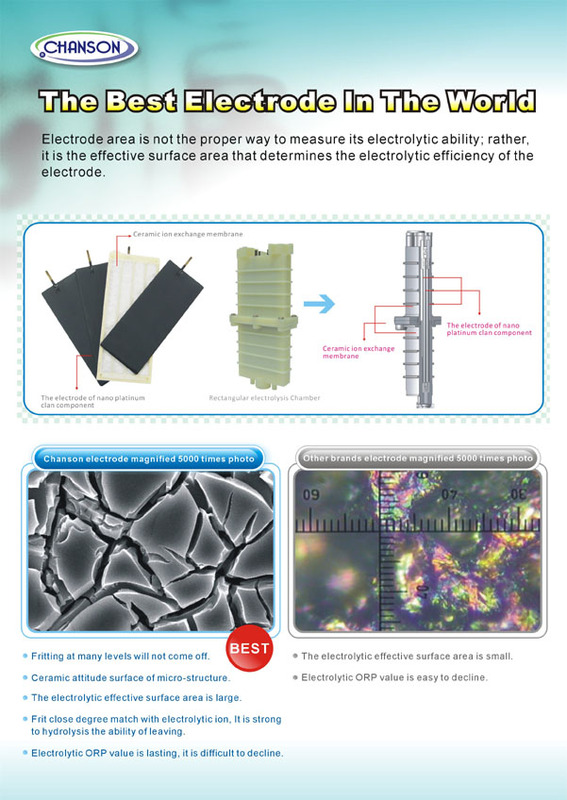 durability throughout the life of the ionizer. 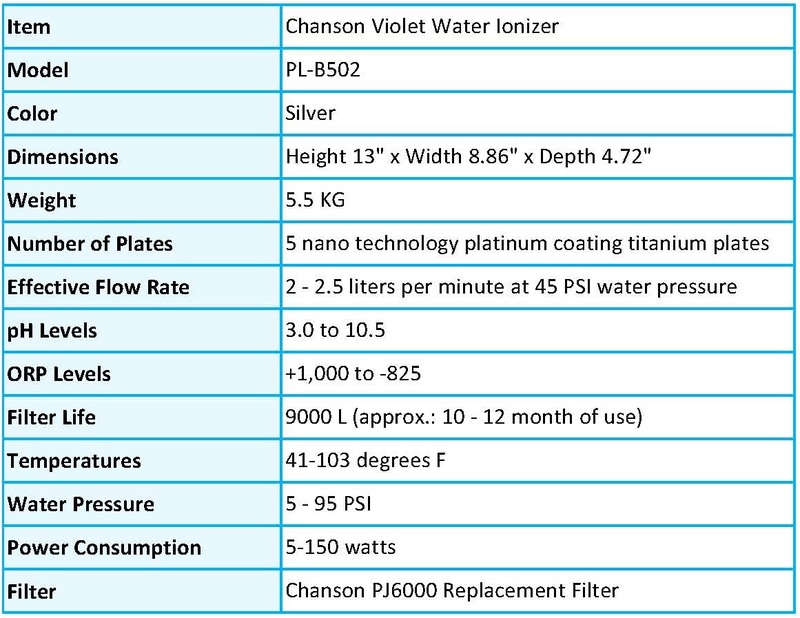 The Violet Makes Some of the Highest and Lowest pH Levels of Any Ionizer Ranges: pH = 3.0 - 10. Note: pH and ORP always depend on source water and vary as with any brand. 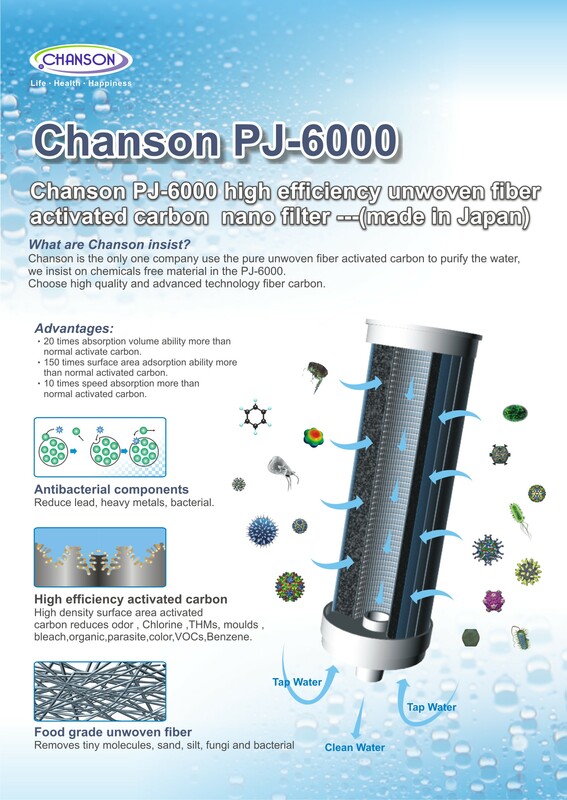 *same filter using on ALL Chanson water ionizers. allows any standing water in the line to be flushed out before you drink. in caseleft on by accident. The machine can be turned right back with detection of water flow.